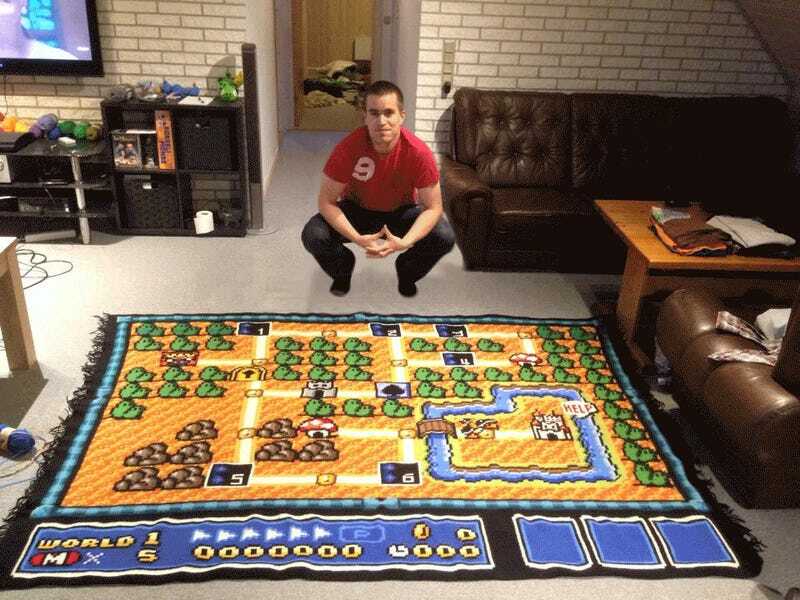 Anyone with basic crochet skills and a whole lot of free time can make a map out of yarn, but Nordin went several extra miles, researching the exact yarn colors needed to emulate the map—which Reddit points out seems to be for the Super Mario All-Stars version of the game—going as far as to scrap an entire section and restart when the water turned out a bit too purple, as reported by NRK (via IGN). Nordin’s next project will be finding a way to mount the yarn map to a wall without completely ruining it. I sincerely hope he does not own cats.